Christmas Jokes For IT Professionals: Let us loosen up a bit because it is time once again for our annual Christmas season jokes. This is all for the spirit of fun with the hope of making everyone jolly. “‘Tis the night before Christmas,”, I thought with a frown. The routers were hung in the closet, all crashed. Their tables had holes in their data, all trashed. on 84 desktops, way down in accounting. "No problem,” I thought, "I'm set up with RAID 5.". Hard disk drives that turned out completely unswappable! I knew that this time bomb was going to blow." Who was this guy? Who did he think that he was? He was dressed in red coveralls, white beard, and black gloves. "Cheer up, my good friend! Lose that mindset so tragic! And read all your issues of NETWORK COMPUTING." 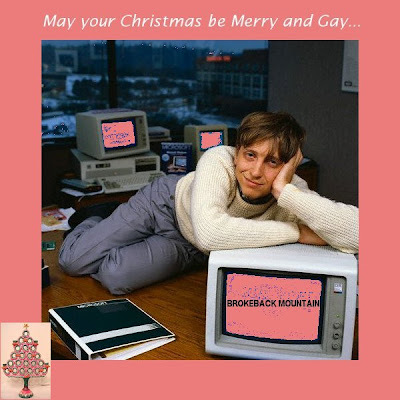 Are you gay enough for Christmas? LOL.. A great one jun! I just can't stop laughing.